Andrea Goetzinger is currently enjoying her 33rd season with Bel Canto Chorus, and her 7th with the Senior Singers Program. Travel with Bel Canto Chorus has taken her to Austria, Hungary, Poland, England, Wales and the former Czechoslovakia. As part of a select group from Bel Canto, she performed with Luciano Pavarotti and Sarah Brightman. Andrea has appeared with the Skylight Opera Company in Madame Butterfly. 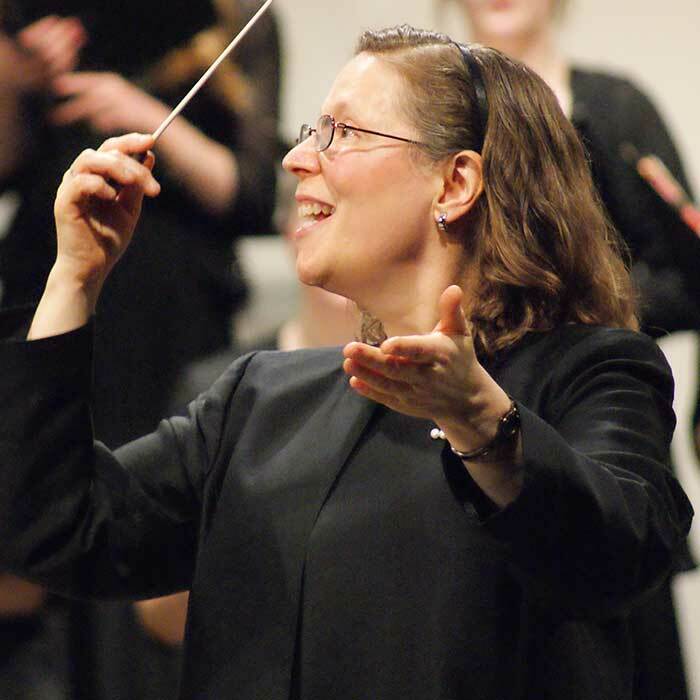 She has performed with such notable local groups as Milwaukee Choral Artists, Master Singers of Milwaukee, Bach Chamber Choir, Bach Collegium Choir, and Ad Hoc Ensemble. A Licensed Practical Nurse for 35 years, she is keenly aware of and greatly values the wisdom, experiences and camaraderie of her many, many ‘senior’ friends. Andrea currently works enhancing the independence of seniors, allowing them to remain in their own homes as safely and healthfully as possible.